From the M4, Junction 13 (or A34 from Oxford) follow signs for Southampton/Winchester (A34). On the A34 turn off at the junction signposted Newbury, Hungerford (Donnington, Speen) and take the second exit at the roundabout, then at the second roundabout take the second exit onto the B4000 signposted …..
For parking see individual event venues. To Newbury station. There is a taxi rank at Newbury. 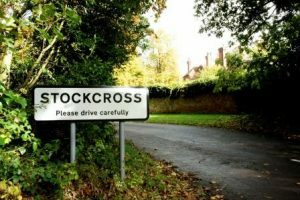 Stockcross is approximately 10 minutes drive from the Station.